So what is going on at the FPT? 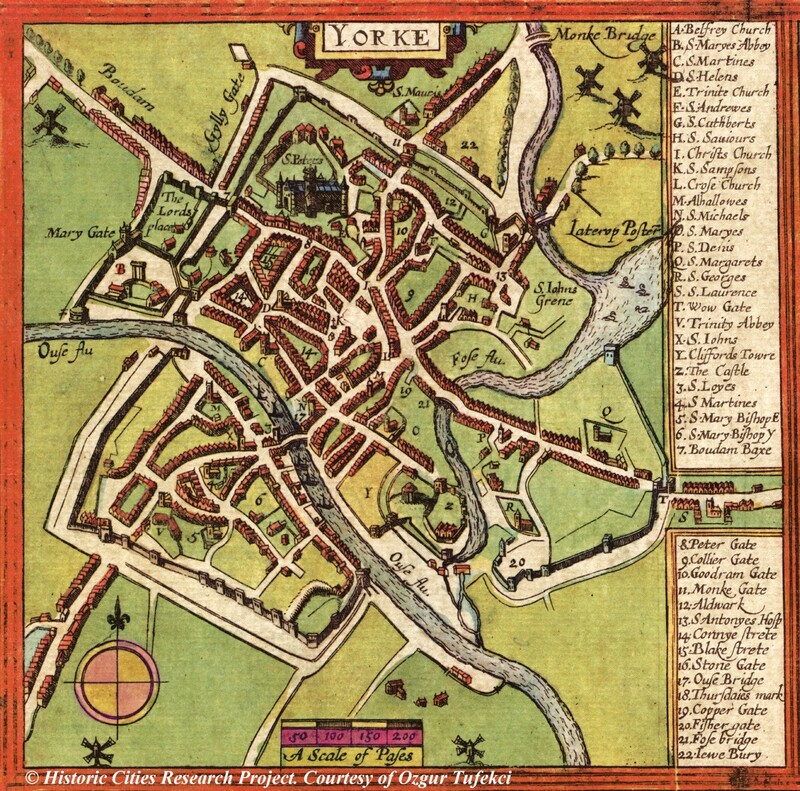 During the months of December 2018 & January 2019 The Friends of York Walls, together with the City of York Council, York Archaeological Trust and Northern PowerGrid, are doing an “archaeological dig” in and around this 500 year old tower, followed by laying a duct and cable to install electricity within the tower. We have been waiting years for the electricity connection to happen, but we now have a clear plan. There are a large number of consecutive activities to be completed and involving over eight different organisations / departments / skills. After a very successful on-site planning meeting at the FPT in mid November, between FOYW, YAT, & CYC, plans are now falling into place to get electricity into FPT, hopefully by “Residents Weekend 2019” – 26/27th January. Work starts the first week of December when CYC will “prepare the site” and lift internal and external flags by Friday 7th December. This will involve the closure of the walkway past the tower’s main entrance door. This pathway will remain closed for several weeks. During all the following work access to the tower area will be restricted for H&S reasons, but you may be able to observe from outside the barriers. YAT will start their “archaeological dig” on Monday 10th December for two weeks (from 10th-21st Dec. 9:00 to 15:00 daily). They plan to dig the internal and external cable trenches plus as much of the surrounding area as time will allow. FOYW have identified a number of volunteers interested in taking part in the dig, including training, participation, generating FOYW publicity, etc. FOYW hope to make as much media publicity as we can during the exercise. The site will be closed and left safe and secure from finish on 21st Dec to re-start on 2nd Jan. Various CYC departments will work from Wednesday 2nd Jan to Friday 11th Jan to drill the door sill, and then install a 38mm plastic duct + drawstring + warning tile tape over + ‘hockey stick’ + meter back board + meter cabinet – all to the approved Northern PowerGrid specifications. All excavations will then be reinstated together with re-laying internal and external flags, etc. NPG may require some of the trench to remain open to confirm the correct duct/tape installations. NPG are booked to arrive on site on Tuesday 15th January to excavate their part of the trench located in the “flats garden area”, and to find the existing passing three phase cable. Wednesday 16th is set aside by NPG as a “contingency digging day”. On Thursday 17th January NPG will draw the single phase cable through the pre-installed cable duct and connect the two ends. This will provide power to the internal service fuse ONLY. In the week 18th – 25th January FOYW’s chosen electrical contractor will install a consumer unit + 2 x switches + 4 x sockets next to the new meter box location. They will then install a (Smart)Meter, a 100A switch and connect to the pre-installed consumer unit. Only at this point will we get a working and usable electricity supply inside the tower. There is then just enough time to connect the existing LED 12V lighting strips to the new sockets via 240/12V 6A transformers. Further internal electrical work will follow at a later date. 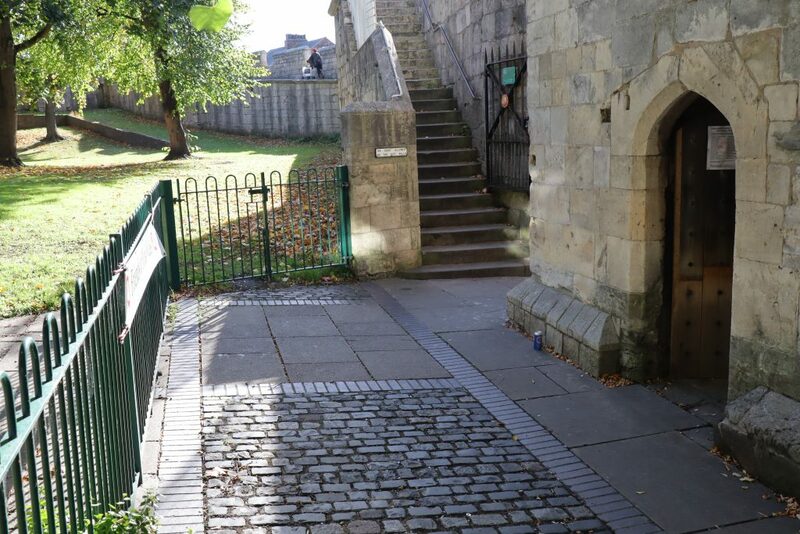 Fishergate Postern Tower will open for “Residents Weekend 2019” and the FOYW volunteers “spring clean and setting things up session” on 19th January should be OK to go ahead. During 2019 we will be looking at what permanent electrical installation is required throughout the four floors of the tower, including multiple sockets and fixed lighting per floor. This will all require professional design and implementation – which requires significant funding.